Blockchain technology has a huge potential to change the structure and mode of operation of a variety of industries, from data management, security and medical services and a few other areas. Blockchain can provide a new platform and structure for the field of health information management by electronicizing medical records, without intermediaries and empowering patients to become owners. for your own profile. In this way, the health information platform backed by Blockchain will help reduce costs for medical providers and patients. When people look at the health care sector, it assumes that Blockchain’s ability to be a silver bullet will overcome challenges with medical records and protect the privacy of patient data. Current medical records can be transferred, but to integrate them is a very difficult problem. The current Blockchain technology for everyone is still a strange thing for those who do not have an understanding of the issues related to health care and technology. Moreover, the legal barriers to blockchain access today are a matter of concern, where there are potential conflicts that need to be addressed. Basically, the idea of using Blockchain in health such as: creating medical records securely on Blockchain where it is guaranteed that authorized people can access it anywhere in the world. gender. That’s what the Estonian government did – a good example of Blockchain technology in health management. 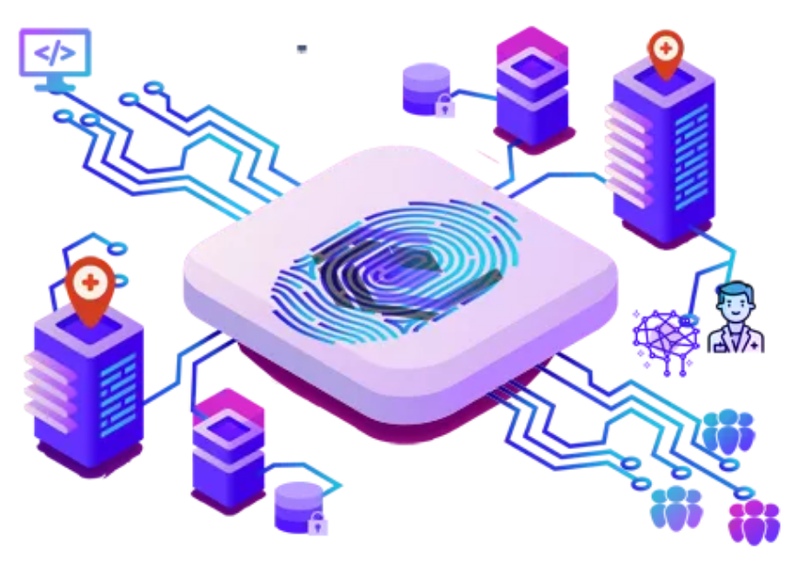 Using large-scale non-key data authentication methods, combined with a distributed ledger, people just need to bring their ID ID to unlock and access medical records their real time. From this point, Blockchain constitutes a clear chain to protect and keep the registration of anyone who uses these records, while still maintaining the compliance process. Perform anonymous patient data in the synthesis process, to ensure privacy is maintained. This is useful in research, and compares cases with similar disease properties. Record and label time of medical procedures or events, this will be done to reduce insurance fraud, facilitate the inspection process and implement compliance with services. Record the maintenance history of important medical equipment, thereby providing a roadmap for permanent inspection and maintenance of equipment. Bring safety wallet with full electronic medical records in it. Verify the origin of the drug, to eliminate illegal drug production. What is Cura Network ? We aim to improve the healthcare universe by making use of blockchain technology to create a unified platform that will power a plethora of health services. In the end, our goal is to integrate patients, specialists, providers and third-party app developers, into a blockchain ecosystem, which will make health transactions truly efficient, secure, explicit, fast and reliable. Blockchain technology not only provides an effective way to manage finance and implement multinational financial transactions, but today also allows companies to build decentralized applications to enhance their performance. The health care industry has gained a lot of benefits through the integration of blockchain technology into their models, entering a new era of digital data and delivering value.